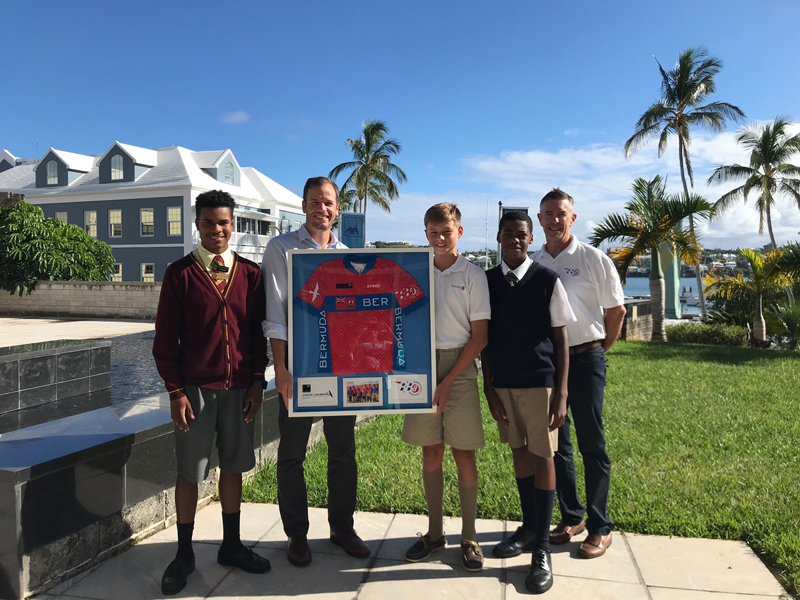 The Bermuda Bicycle Association [BBA] recognized the support of Axa XL and KPMG for their support of the 2018 Junior Caribbean Cycling Championships and Bermuda team. 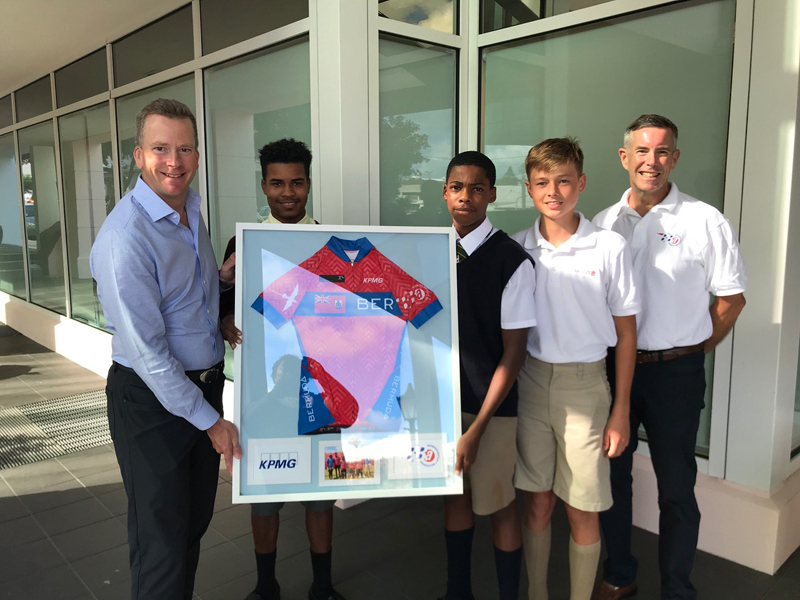 BBA junior team members Ziani Burgesson, Nazarai Fox and Alexander Miller presented a framed team jersey to representatives of the two firms to show their appreciation for the support the two companies extended to the Association. The full team was comprised of Alyssa Rowse, Kaden Hopkins, Alexander Pilgrim, Matthew Oliveira, Nicholas Narraway, Ziani Burgesson, Nazarai Fox and Alexander Miller. Axa XL was the title sponsor of the event held in August and which attracted the best junior cyclists from the Caribbean to Bermuda to compete for the regional titles. Team Bermuda dominated the event, claiming all six titles available and garnering an additional two bronze medals. Representing Axa XL to accept the gift was Andrew Davis. KPMG has agreed to sponsor the junior team, providing funding which will allow additional opportunities for BBA juniors to compete internationally and further their cycling abilities.